Kraft paper gummed tape is with kraft paper as the backing material, after a polyethylene (PE) film coating through special mold processing, on the other side coated stick rubber pressure-sensitive adhesive. And which is has high viscosity, heat resistance, cold resistant, waterproof, environmentally friendly ,not easy to damage, easy to tear and so on performance. Kraft paper gummed tape is widely used in leather industry, paper feeder instantaneous high temperature environment, shoes material factory, cardboard-box factory, cardboard factory, printing factory, tanneries, shoe factory, handbag factory, Jointing paper, sealing box, bounding articles, apply to crack of home decoration, machine parts and electronic product etc. 1. 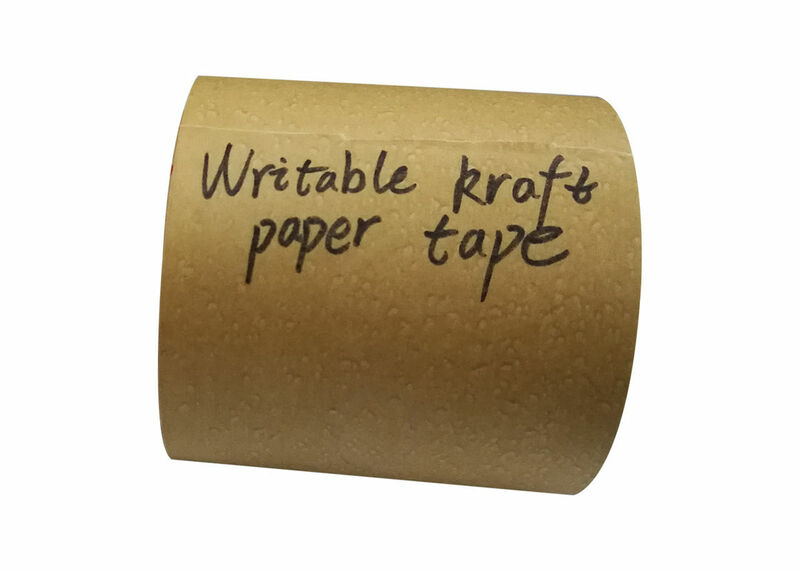 Kraft paper gummed tape should be stored in a cool (20~30degree), dry (50%~70% Humidity) area away from direct sunlight, air conditioner and other heat sources. 2. Kraft paper gummed tape jumbos should be placed vertically in well package and avoid to be pressed against glue surface. 3. Kraft paper gummed tape should be used within 12 months from date of production. Surfaces to which tape is applied should be clean, dry and free of grease, oil, moisture, dirt and other contaminants.